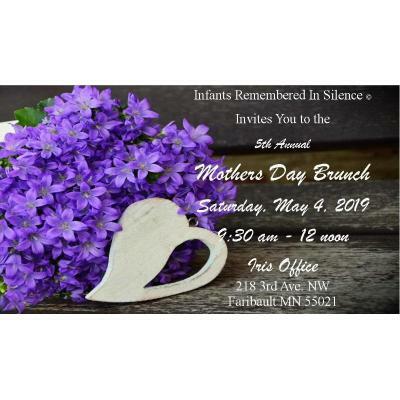 Mothers Day and is Open to adult women who have been touched by the death of a child including mothers, grandmothers, sisters, aunts, friends, co-workers, professionals and all other supportive women. By Registering for the IRIS Heaven's Angels Bike/Car Run & Show you are agreeing to the following RELEASE AND WAIVER OF LIABILITY AND INDEMNITY AGREEMENT In consideration of the acceptance of my entry in this event, I do for myself, my heirs, executors, administrators, and assigns, hereby give up, RELEASE, and forever DISCHARGE in advance my right to sue or make any claim for damages due to negligence or carelessness against Officers, members, and agents; other promoters, sponsors, and their employees; and all organizations and their employees conducting or connected with Infants Remembered In Silence, Inc. (IRIS) for injury to person that I may suffer, including crippling injury or death, while participating in this event and while upon event premises. I AM AWARE THAT Motorcycling & Driving/Riding in Cars CARRIE A SIGNIFICANT RISK OF SERIOUS PERSONAL INJURY, DEATH, AND PROPERTY DAMAGE. I know the risks of danger to myself, my minor child (if present), and my property while participating in the event and while upon the event premises and, relying upon my own judgment and ability. I ASSUME ALL SUCH RISKS OF LOSS and hereby agree to reimburse all costs to, and to forever HOLD HARMLESS and INDEMNIFY, all persons and entities identified above, generally and specifically, from any and all liability for death and /or personal injury or property damage in any way from my participation in this event. If you have difficulty opening a link above please scroll all the way down the page for links. Join us for Awards, Food Trucks, Live Band, Vendors, Silent Auction, Bike Show, Car Show, and Trophies! 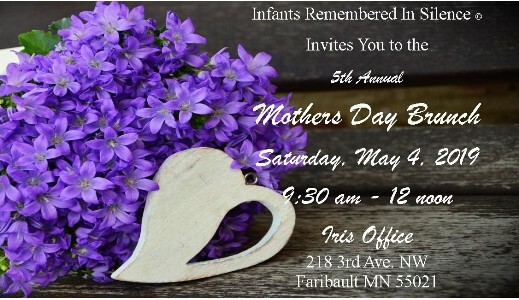 October 15th, 2018 - Pregnancy and Infant Loss Remembrance Day at the IRIS Office in Faribault MN. This photo is of the 5,000 plus memorial hearts that have the names of children from around the world on them. 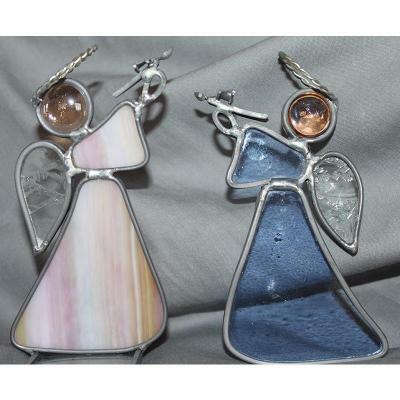 These hearts were placed in the cradle of the bronze weeping Angel that is permanently on display in front of the IRIS Office in Faribault MN. A candlelight service was held at 7 pm on October 15th to honor these precious children. The life sized bronze statue called “I Knew You in the Womb” is by world renowned sculpture Timothy J. Schmalz. It depicts an Angel weeping over an empty cradle. You are welcome to visit the statue at anytime. You are always welcome to leave flowers (silk or fresh), letters, balloons, etc. Taking pictures is always encouraged. The IRIS staff and volunteers will not bother you if you come to visit however, if you would like us to take your picture by the Angel please come and ask. We would be very happy to do so!